My child said, "My school feels like a home to me" and that's all I need to hear as a parent. 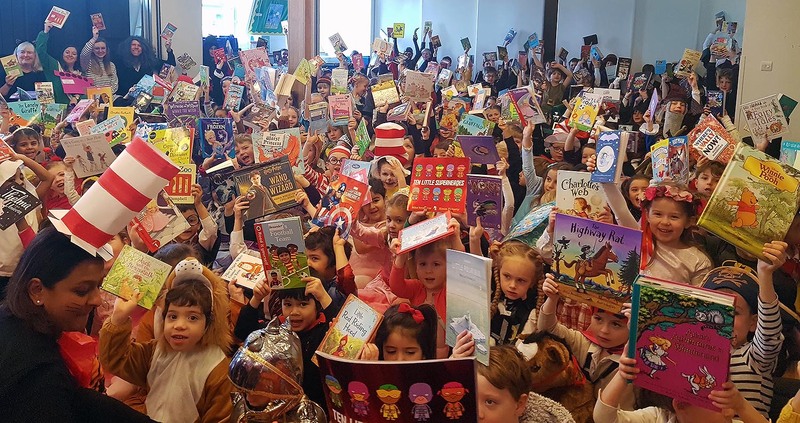 The Roche School is an independent, co-educational, primary school offering children a wide range of academic, creative and sporting opportunities in a family-orientated environment on the boundary of Putney and Wandsworth. Our curriculum is taught by inspiring, committed teaching staff enabling pupils to fully achieve their potential whilst they are with us. Attitudes to learning are important too – we encourage pupils to enjoy challenge, working together and independently. 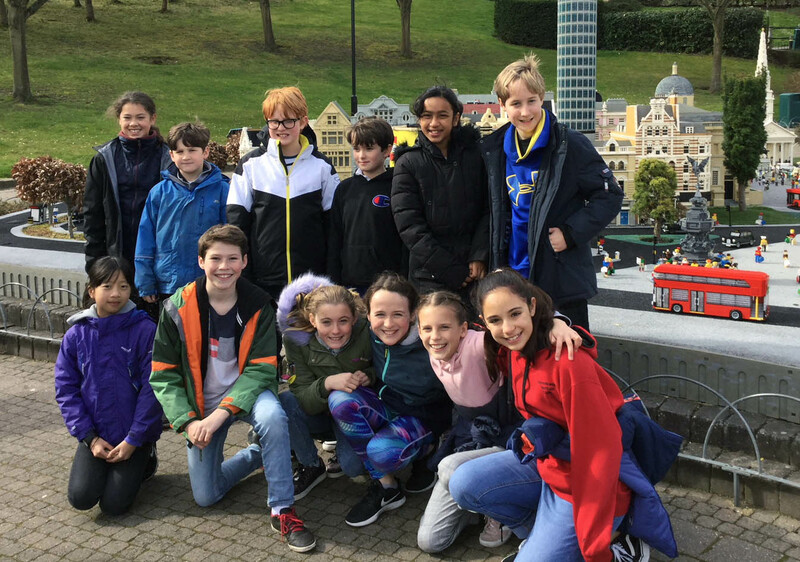 In academic subjects, we run small classes which are attentive to matters of pace and understanding and our pupils go on to achieve places at top London day schools. We are proud of our strong academic record and encourage pupils to excel. The atmosphere of the school is happy and polite with the pastoral system emphasizing the importance of kindness and respect for others. The new edition of The Good Schools Guide has been published and The Roche School is included once again. The UK’s number one school guide has been trusted by parents for over 30 years and their verdict on The Roche School is a ringing endorsement of our team’s achievements. Click here for a link to the full review. 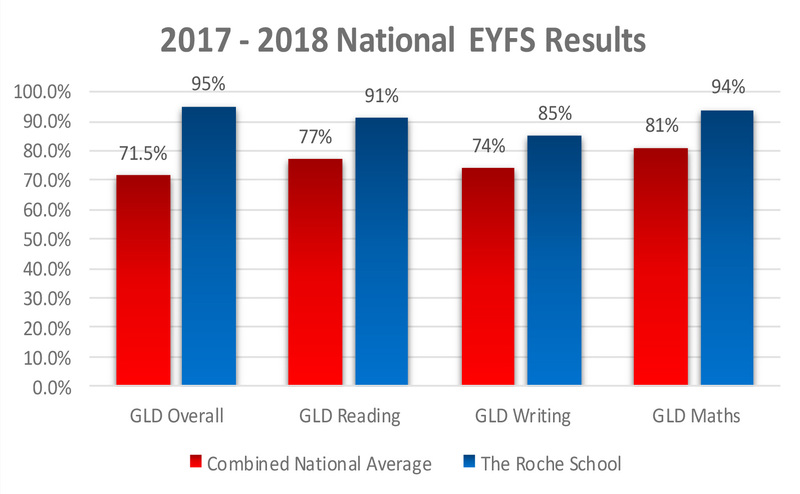 EYFS SUCCESS - The National Early Years and Foundation Stage (EYFS) profile results for 2017 – 2018 were published on the 18th October. 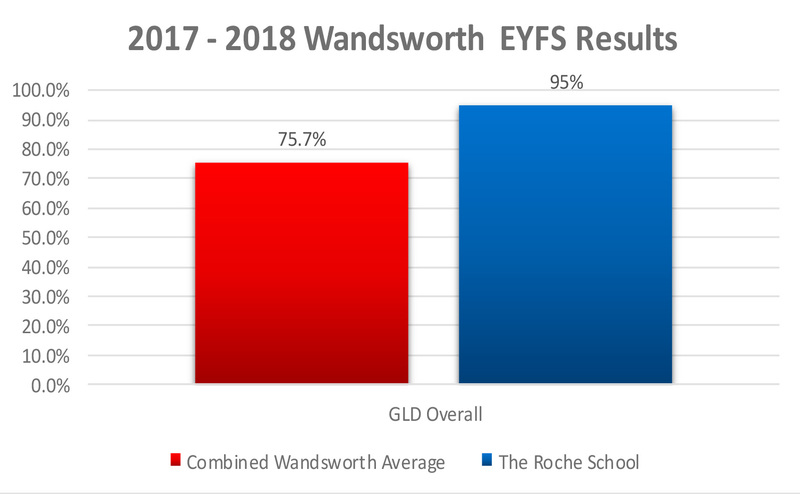 We are pleased to say that The Roche School is performing significantly higher than both the National average and the Wandsworth average. For more details click here. The Roche School Transition to Secondary School Programme has reaped dividends again this year with pupils accepting places at a wide variety of wonderful senior schools. To see our List of Leavers Schools and our Destinations Map, click here to visit our Academic Results page. Why choose the Roche School? 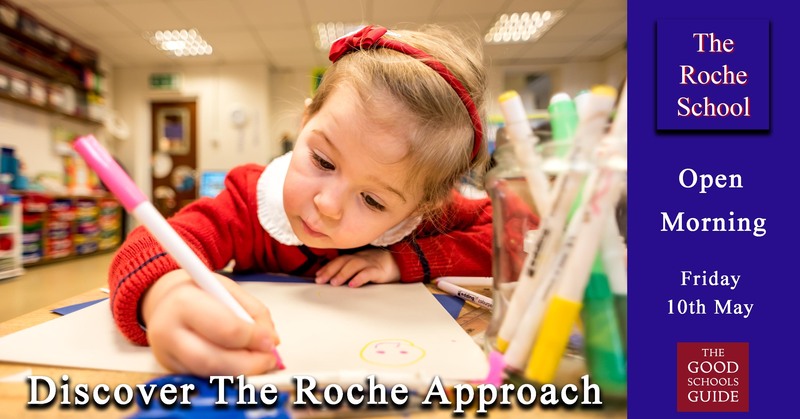 The Roche School offers an exciting academic, sporting and creative curriculum. We ensure that pupils take advantage of a range of disciplines enabling them to build a strong academic profile. In Maths and English we teach in smaller groups allowing for pace and consolidation. Pupils are active participants in their own learning. We are a family school in which every individual is valued and respected. 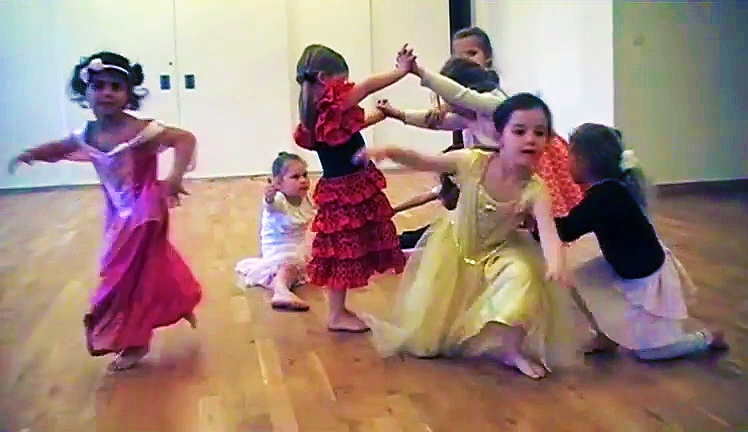 The children follow The Roche Approach which creates a warm and inclusive culture. Children recognise the unique gifts of others as well as their own strengths. Our pupils regularly gain scholarships and places at top secondary schools. Our guidance on applications for secondary school is extensive and thorough, based on an understanding of the pupil and their particular talents. 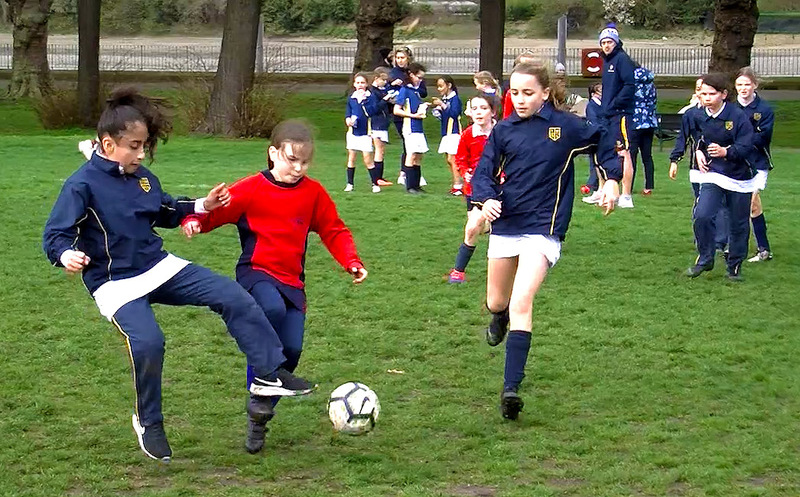 Of children in the Upper School participate in an external, competitive sports match each term. I cannot recommend The Roche highly enough, and we are so grateful that we made the decision to send our children to the school. As well as giving the children a superb start to their educational career, along with a wonderful opportunity to be involved in a vast variety of co-curricular activities and exciting trips, the Roche has made the start of their schooling such a positive and joyful one - both children really look forward to going to school every day, and have always felt incredibly supported and happy there. In short, it is a school that absolutely embodies its ethos of kindness and respect. Without your guidance and support [these results] would not have been possible. I owe you all the credit for what he is today. Thanks to you all teachers for all the help and support. We want to thank you again for all the hard work The Roche has put into getting him there – we honestly feel that he couldn’t have done any better and his teachers must take a large amount of the credit for that! I would absolutely recommend the school. It is a fantastic place and it’s all about producing happy, well-rounded children. The exits to secondary schools are impressive. The Roche School is like a family. The children are taught good manners but are still allowed to be themselves. They are well cared for and encouraged to enjoy school life. This is one of the best schools I have ever come across. The staff take individual care of each child, pushing them to progress rather than allowing them to be average. It taught me how my children are capable of much more than average. They have become responsible for their own work – all I do is remind them and they do the rest. Transition to secondary - You have really made what could have been quite a stressful process an incredibly positive and confidence building experience for Lara for which we are grateful. Mrs C.